Today is Halloween, and you can unlock Halloween themed player skins by entering the Shift codes posted on the Gearbox Software Twitter account and Borderlands Facebook page. The codes will be posted at 10 AM Central Time. You can click here for your local time. If I remember, (I probably won't) I'll add the codes to this post when they go up. If you're going to be at work, don't sweat it. The Halloween Shift codes will be active until November 4, at 11:55 PM CT. I hope they keep the holiday theme up. I really want a Gunzerking Santa. I'm also glad they're not charging us a buck a piece for these bad boys. 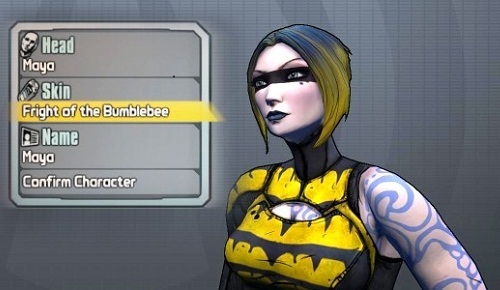 Good on you, Gearbox. Happy Halloween!